Hollywood's biggest night of the year is slowly but surely creeping up on us movie fans, fueling lengthy discussions about not just the year's most recognized motion picture achievements, but movies, awards and celebrities in general. It is a time of widespread anxiety for the film industry, clouded by uncertain outcomes and saturated with speculation. And those who have the potential of being called into the spotlight to accept an Oscar no doubt quiver with fear and excitement. But certain surprises don't happen when the envelopes are thrashed open; they occur beforehand, when the Academy unleashes its list of the year's big nominees, sometimes shocking the media intensely by snubbing obligatory contenders and honoring unlikely choices. Of all the major shocks induced by these events, however, few have ever compared over the years with the drastic upsets made in the Best Director category, in which filmmakers whose movies receive recognition as a best picture contender are ignored in favor of those whose movies barely scrape by with minor nominations. The logic behind this act? There is none. It simply reminds us that people, not awards, are what make the motion picture the great thing it is. Directors aren't just tools for a movie's development; they are the backbones behind their conception. 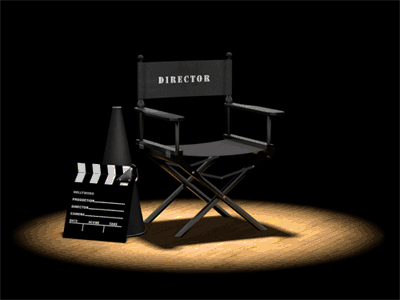 It is a director's vision, insight, and essence that shape a film's substance. They're like cautious parents of little children, holding the hands of their creations every step of the way until the product is able to grow and survive on its own. If a movie is something grand and spectacular (enough to be recognized by a prestigious award ceremony), then exactly who is to thank for the result? The Academy doesn't always seem to know. Consider the most recent examples of a director failing to receive an Oscar nod despite the recognition of the movie itself: Baz Luhrmann, who made last year's sleeper hit "Moulin Rouge! ", was shunned in the Director category despite the fact that his film garnered several other major nominations. As a result, his vacancy was filled by David Lynch, whose "Mulholland Drive" received not one other nomination despite massive hype. It's insulting enough to ignore a director like this when his work is honored greatly, but what's the point of even recognizing someone if his or her movie will be absent from every other category? Further frustration can be derived from the fact that the Academy pulled off this feat twice in the same year, also forgetting "In The Bedroom"s director Todd Field in favor of Ridley Scott for his mostly snubbed war epic "Black Hawk Down." This is a process, alas, that has repeated itself for countless years throughout the history of the awards. Last year, the Academy nominated "Chocolat" as best picture and not Lasse Halstrom as a director; the year before, Frank Darabont, director of "The Green Mile," lost out to the surprise nomination of Spike Jonze (who was responsible for "Being John Malkovich," another majorly-overlooked endeavor). Even more infuriating are the indirect insults the Academy makes when they award a director a trophy but not the movie he created. When Steven Soderbergh was awarded last year for "Traffic," for instance, it was as if the voters were implying, "we like you and all, but 'Gladiator' is a better movie." Will that humbling statement be made again this year? The chances look high. While the Best Picture category looks like a three-way battle between "A Beautiful Mind," "The Lord of the Rings" and "Moulin Rouge! ", the director honors appear to be anchored in Robert Altman's favor. Altman, who has been making movies for over 50 years, is the sentimental favorite because the Academy has failed to acknowledge him with a victory in the past despite his incessant success with major motion pictures. In fact, the 77-year-old director has been nominated before only four other times, and usually for movies that didn't receive any other major Oscar nods. When it comes to credibility, the Academy Awards are no more fruitful than local critics awards or even people's choice awards. Why? Because there can never be a right or wrong choice when it comes to winner. It's all a matter of opinion. But as long as the audience doesn't let an award show's warped reasoning deceive them, then the annual Oscar ceremony can still be enjoyed for what it is best known for: being the movie industry's biggest party of the year.